Arunachal Pradesh to get Rs 706.47 crores for 43 roads and 15 bridges under Pradhan Mantri Gram Sadak Yojana (PMGSY) from the Union Ministry of Rural Development. Around 684.46 km of roads and 577 metres of bridges will be constructed with the sanctioned amount covering huge unconnected habitation said an official sanction order signed by P Manoj Kumar, Director (RC) Ministry of Rural Development addressed to Commissioner/Secretary RWD, sources informed. 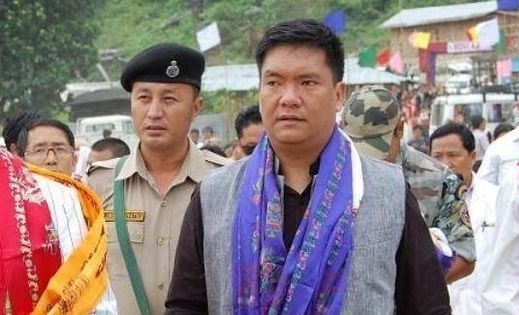 Chief Minister of Arunachal Pradesh Pema Khandu has extended his sincere gratitude to PM Modi and said that his concern for Arunachal in terms of connectivity is evident from the positive gesture. He said that with such help Arunachal Pradesh will soon be on par with other developed states. Khandu assured the Central Government that the funds sanctioned will be judiciously utilized and projects will be completed in time.